Looking to Refresh Your Wardrobe for Spring? 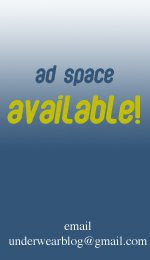 If you, like many men, are looking to refresh your wardrobe for the spring you should check out Artificial Flavor's site. 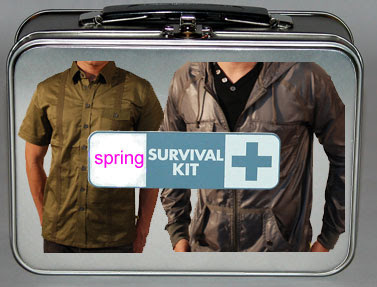 They have a few different packages - that they've dubbed "spring survival kits" - where you can get a whole new wardrobe (already packaged) for the fraction of the cost if you were to buy the items individually. These kits include AFlavor underwear (obviously, otherwise I would not be covering this) as well as shirts, pants, cardigans, and shorts (depending on the kit) to match. This is a great way to freshen up your wardrobe just in time for the gorgeous spring we are having. Kits range $89 - $99 compared to an original price (if you purchased all the pieces separately) of $267 - $442. Quantities are limited, so shop now! this is a fantastic idea for guys because you do the kit for them they wont go wrong and they will be all looking yummy-great idea. These guys never return ANY email inquiries. I emailed them three times about 3 different issues, and never once got a response.